On April 29, 2009, I was testing a new camera at a favorite location, Winchester Park (1200 W.Winchester St., 6400 So.) Its tiny pond provides excellent opportunities to capture birds in flight, especially mallards. After successfully shooting several images of ducks, I left the area for a time to photograph some Pelicans a passerby told me about, northward, on the Jordan River. About 11:00 A.M., I arrived at the pond for a 2nd time to find 4 cormorants, perched on stumps and snags on the northwest side of the pond (See Figs.1 and 2). 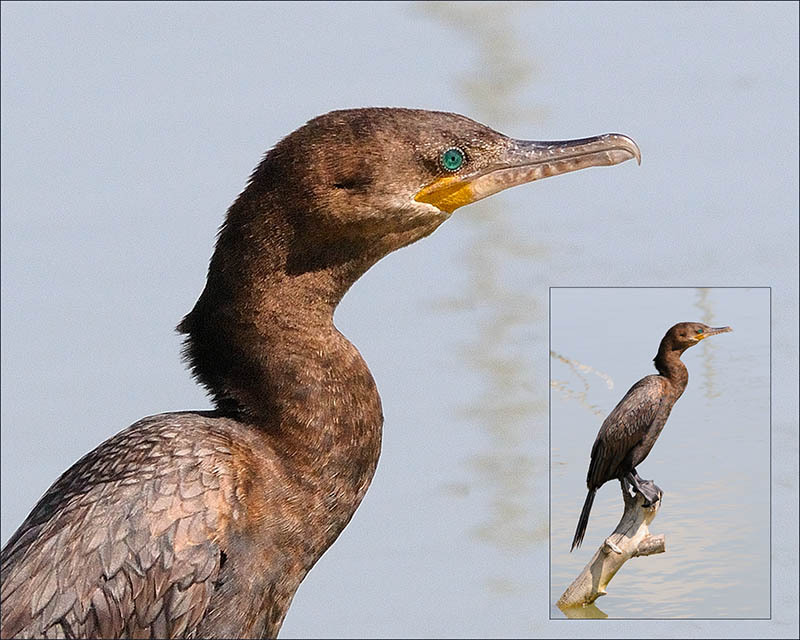 I had no idea that they might be a special find; but I knew that they were not the same as the double crested cormorants I had photographed on a public trout fishery about 3/4 mile away. 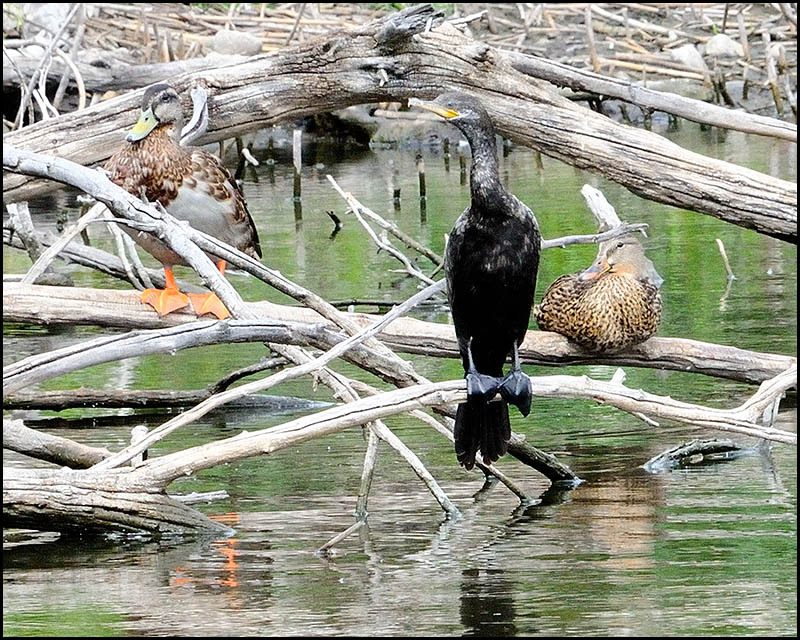 At that time my bird ID experience was mInimal; but my memory of double crested cormorants (DCCOs) on Willow Pond (north of Winchester) emphasized that they were huge compared to these birds! I went home, researched in my modest bird ID books and came away without any conclusion. 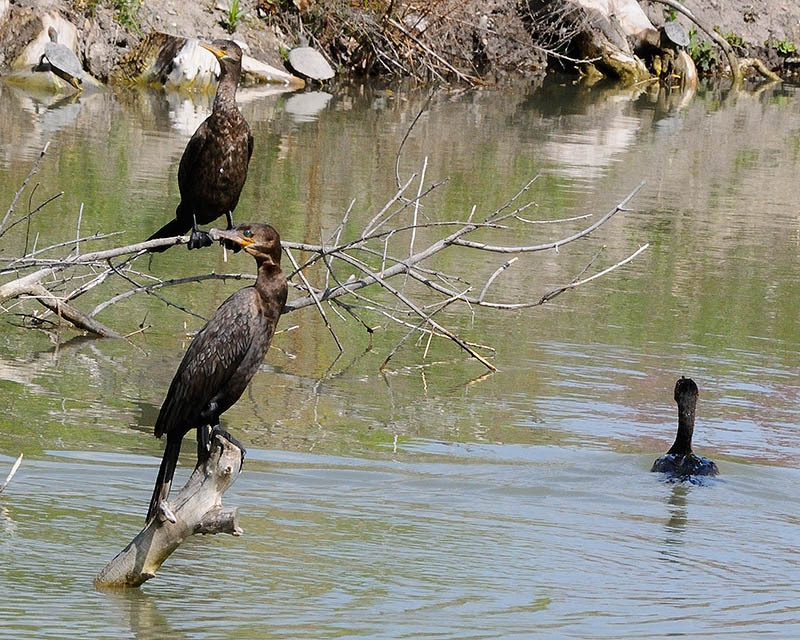 Months went by and on July 22nd 2009, I went online to the Utah Birds site and noticed great excitement because "a Neotropic cormorant" had been sighted in an area called, "Lee Kay Ponds". 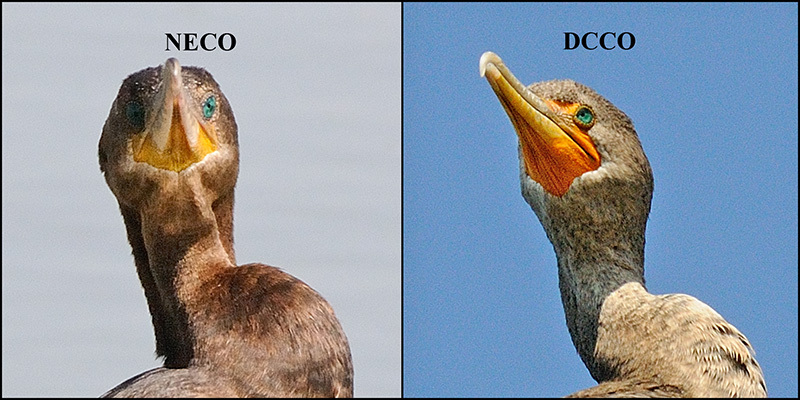 I was struck by the statement that these birds were identified as being smaller than DCCOs. My experience with my birds discovered in April was, they were also smaller than DCCOs. 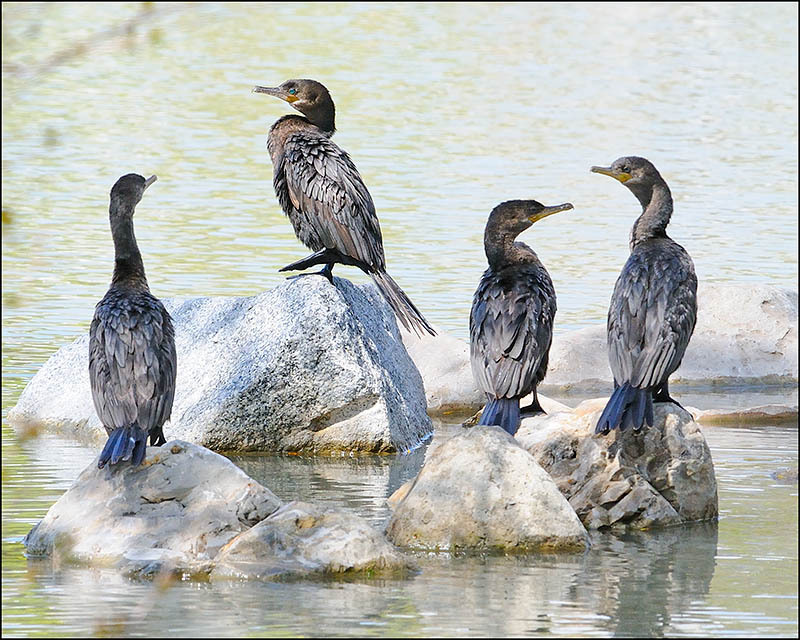 I had never heard of Neotropic cormorants, so they hadn't been considered. 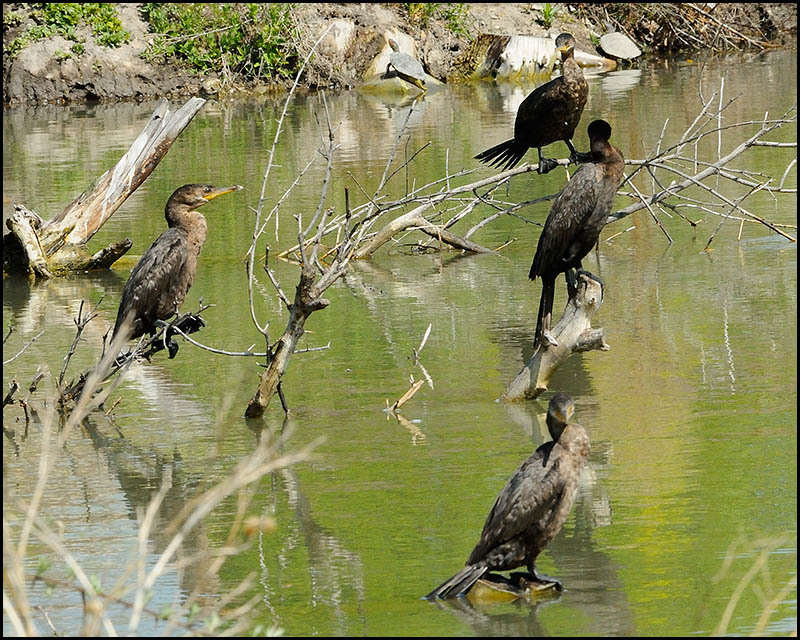 On that day in July, I wrote to the Utah Birders Hotline that I had cormorants from April that could be NECOs and asked for help in identifying my photos. Responses came quickly from several birders offering to help in identifying my birds. Most people commented even before they saw my images that it was unlikely that my birds were NECOs, since NECOs had only been reported from Iron County in the southern part of Utah. 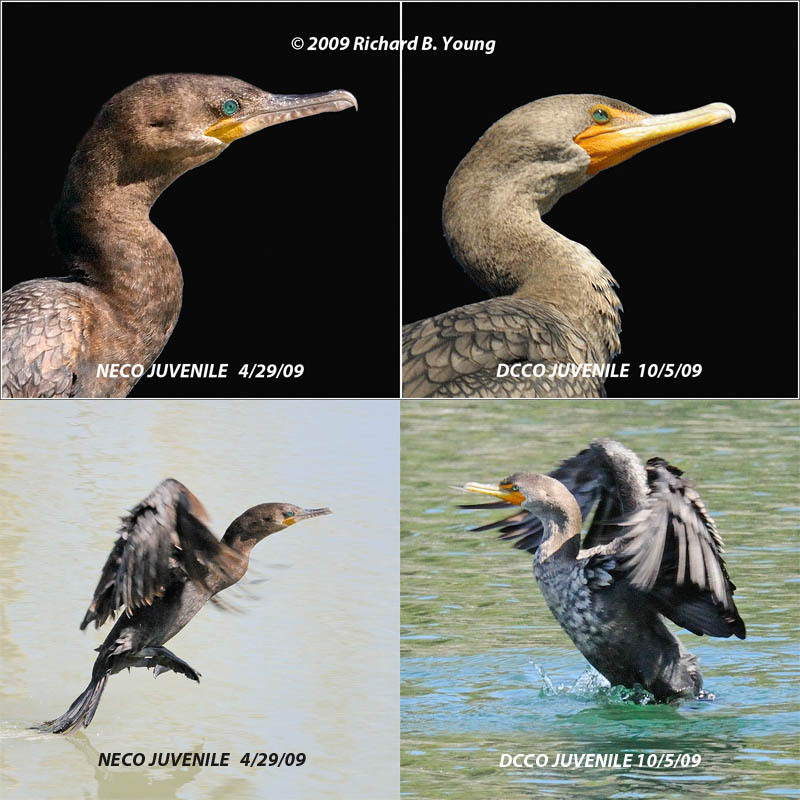 The final outcome was that the people helping me each independently agreed that I indeed had discovered NECOs... not one but several birds in April 2009. Addendum: On August 24, 2009, I discovered yet another single NECO on an oxbow of the Jordan River. The location of my second NECO encounter is called, "The Kennecott Nature Center of Murray" and is found at approximately 5000 South, Murray/Jordan River Parkway. See figures 9-11. 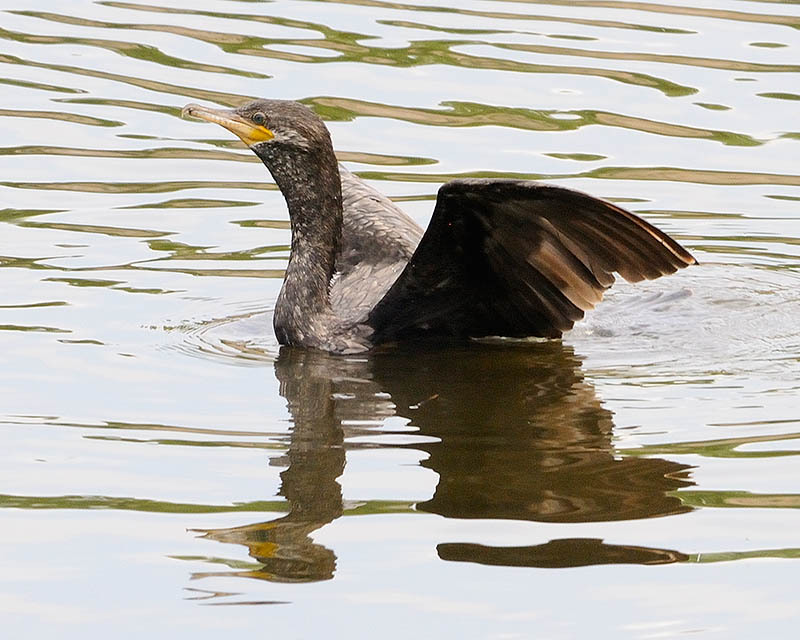 Update: On April 18, 2010, I discovered 2 Neotropic Cormorants at the "Sandy City Urban Fishery", also known as the 'Sandy Fishing Pond'. 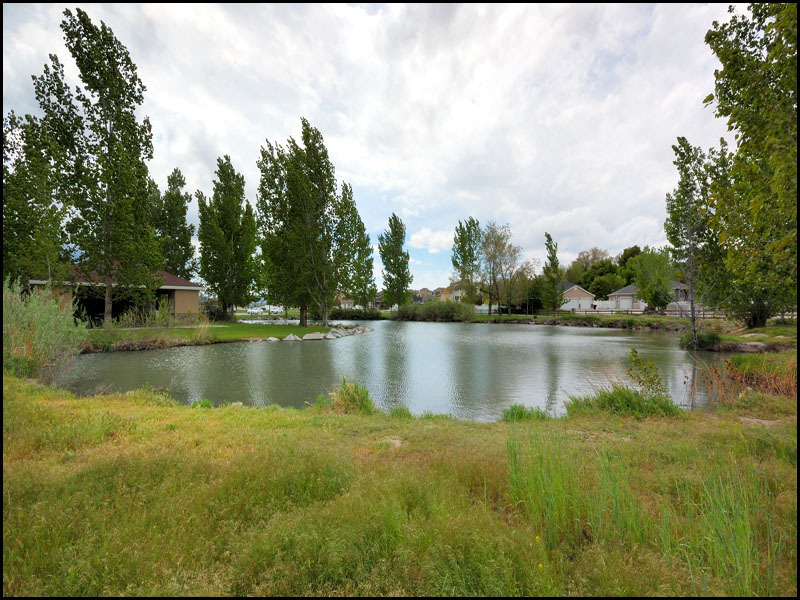 It is located at 900 West Shields Lane in Sandy, Utah. 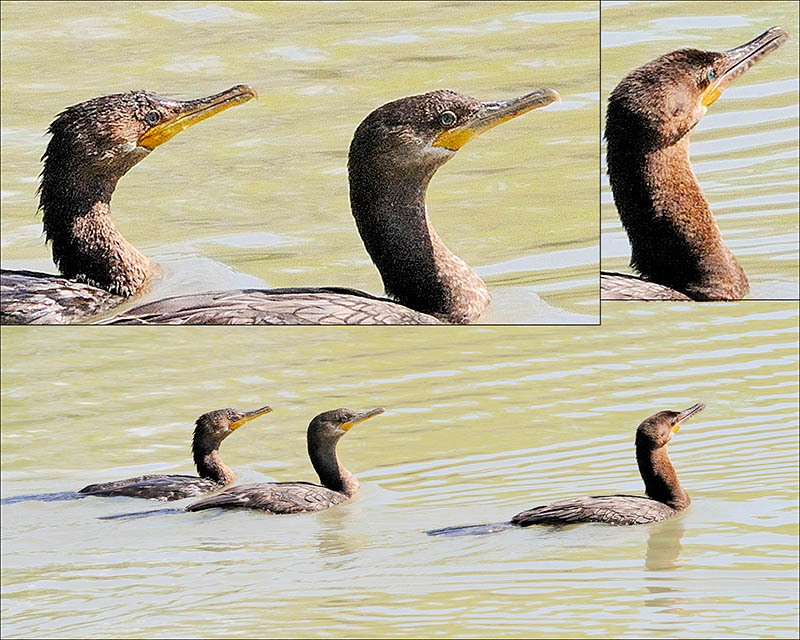 4 cormorants, appearing smaller than DCC0s I had photographed elsewhere earlier. Having no idea that these birds had significance, I photographed them in a variety of ways. These birds were quite content with me being in close proximity. They were still there after I left. as seen here. 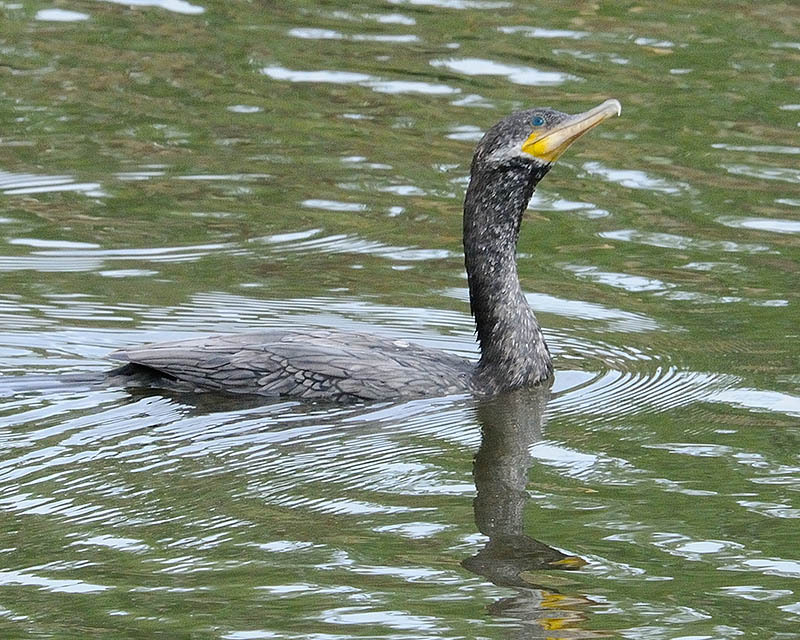 The mallards in the background provide some scale as to the size of this cormorant. The bird seems to pose here, with a slight upward angle of the head, providing a good look at NECO attributes. 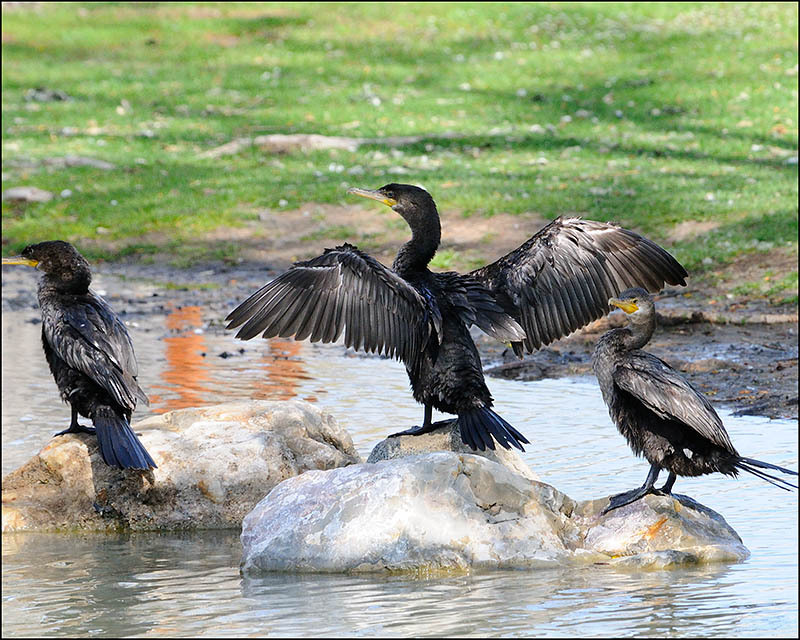 After diving for food, the cormorant rests with outstretched wings, allowing them to dry.